From plot to plate… – You can't buy happiness, but you can buy coffee. Working with Mossbank Homes, we are encouraging residents to look at the benefits of organic foods and growing our own produce. 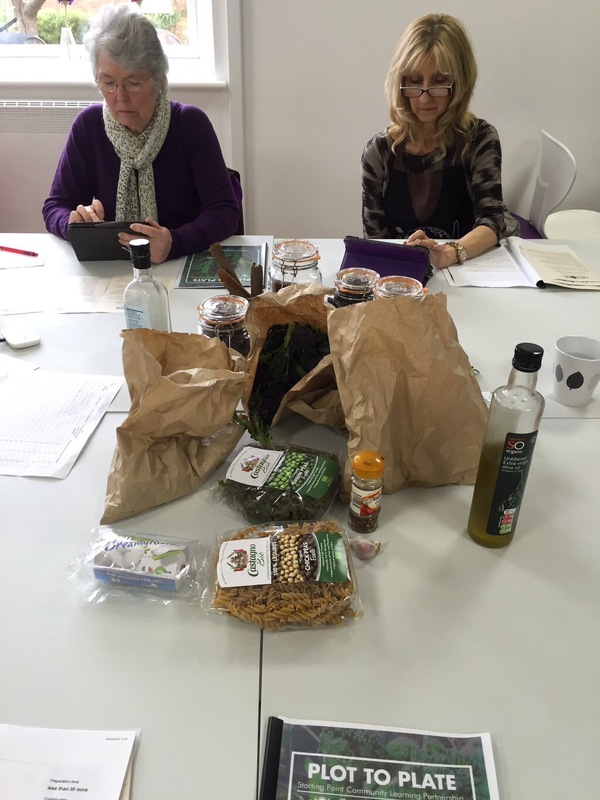 Using the space at Bredbury Hub, we looked at ingredients from Chorlton based green grocer, Unicorn – in which some ingredients were originally sourced from Woodbank park! Learners were given their own folder which they will fill with recipes that they print directly from their tablet devices. These sessions were designed to prove how digital technology can make other daily tasks easier. Today we were demonstrating that it’s cheaper to find simple recipes online and make fresh food than to purchase convenience meals on a regular basis. Whilst looking at the ingredients, two of our learners voiced their dislike of pasta – especially when it’s green! However, they soon changed their minds when eating the meals later. 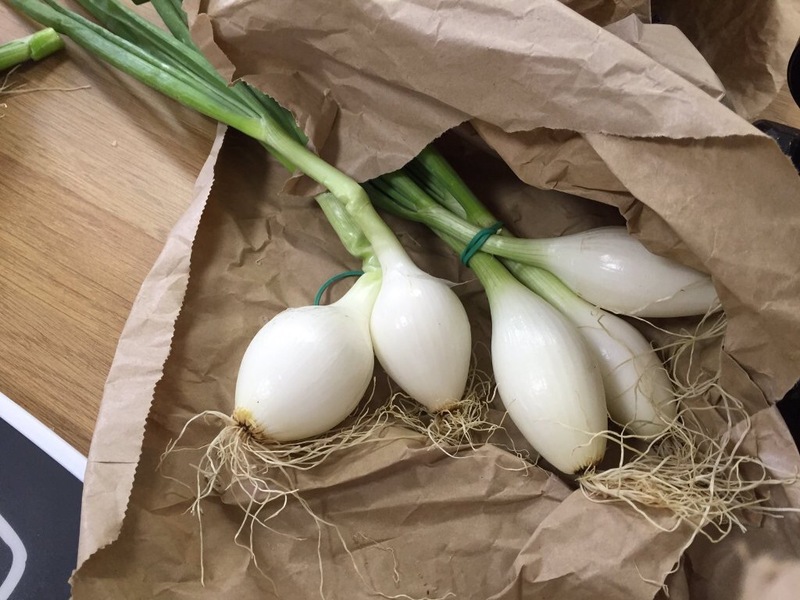 We used the Internet to discover the benefits of organic produce and shared or own knowledge on the subject. We then proceeded to search for healthy recipes online, using non dairy cheese and tofu too! We found the recipe for broccoli pasta, and then chocolate mouse to finish. Once we had printed the recipes and added them to our folder; we took to the kicthen! 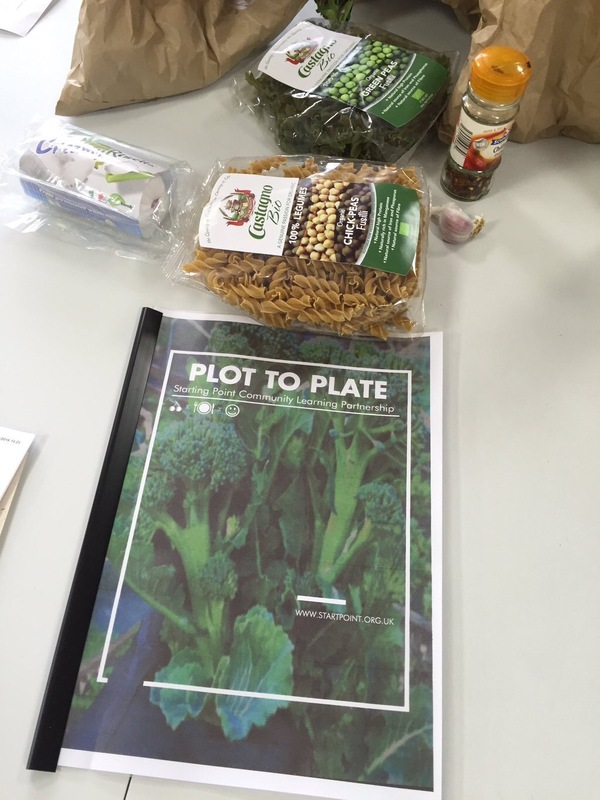 Working in a team, we learnt how to keep the goodness in our vegetables and what we can do with broccoli leaves. Prior to tucking into the delicious meals (which everyone loved! ), we took to the scales to find out more about our visceral fat and water content. Knowing this information, we were able to take a fresh look at or diets and amend our eating and drinking habits. 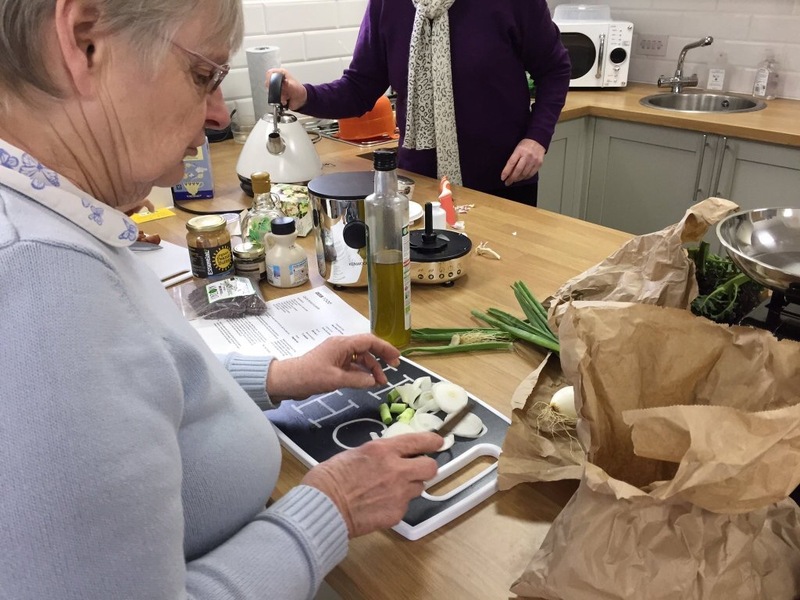 Our learners loved trying new foods that they wouldn’t necessarily find in their local shop, and they enjoyed taking home their own recipe folder which they can make up to their own tastes.